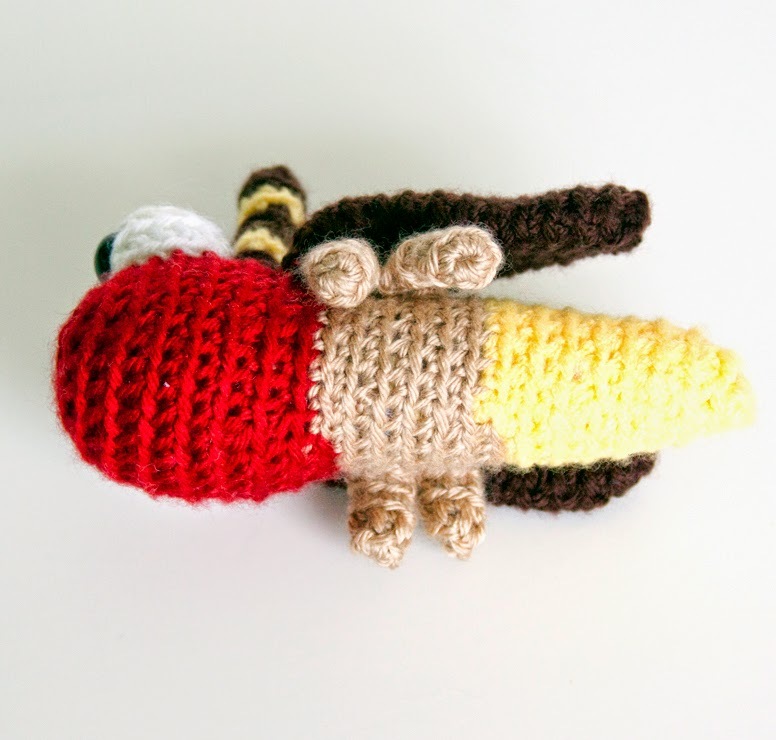 Show and Tell Meg: FO Friday: Firefly Testing - Meet Ferdie! 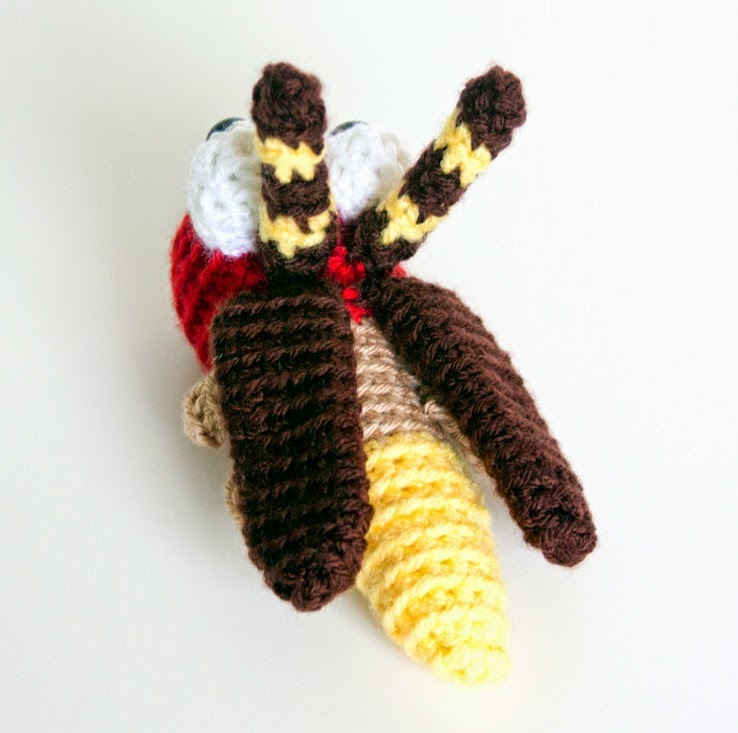 FO Friday: Firefly Testing - Meet Ferdie! I am seriously so remiss in posting about this project! I made this as a pattern test literally a month ago (geez!) for the lovely Chloe of Amination. She just released a cute little collection called Microcosmos and I got to test out the Firefly! Isn't he just adorable?! This was a very quick little guy - I made him in just 2 hours - and he takes very little yarn. For my first foray with this pattern, I used all the recommended colors. I used Premier Everyday Soft Worsted yarn for the red, white and brown. The yellow is Red Heart With Love and the tan is Patons Canadiana in Flax. I used a size H hook, but I do crochet tightly so most could probably use a G hook. *I received the pattern Microcosmos: Firefly by Amination for free to test it for any errors. I was not obligated to review the pattern on my blog, so all opinions are 100% my own. It's just so cute I had to share! I'm so glad you enjoyed the pattern and thank you so much for testing!